Building a poker bankroll is likely to be one of the top goals on your list of things you'd like to achieve while playing poker. And if it's not, it should be. Having a larger bankroll allows you to play higher stakes, sustain larger and longer swings and buys you an education in the form of books or coaching. Aside from actually playing poker, having a larger bankroll enables you to make investments such as staking other players. 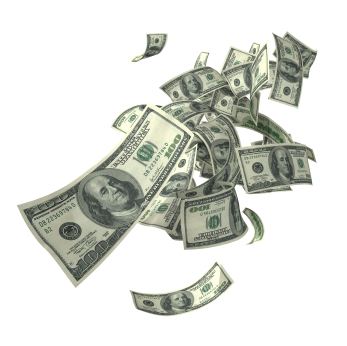 In short, building a poker bankroll will give you more opportunities to make more money. Now, I'm sure there is no doubt that building a poker bankroll is a necessity if you ever wish to progress as a poker player. But saying is much easier than doing. I hope to help you with the former throughout this article, as I will discuss some tips on how to build your bankroll as quickly and efficiently as possible. Take advantage of deposit and reload bonuses. This really should be a no brainer, but the fastest way to build your bankroll with little risk is to take advantage of the deposit/reload bonuses that the poker site you play at offers. Most poker rooms offer a 100% match on your first deposit. This means that if you deposit $100, you'll be given the opportunity to earn $100 free given that you generate enough rake. Some rooms like PokerStars will allow you to make up to 3 (more/less depending on the room) deposits to allow you to earn as much of the bonus as possible. Once you complete a bonus, withdrawal your money and move to a new site. There are hundreds of poker sites out there, all of which offer some form of deposit bonus. Once you complete a bonus at one site, take your money and move it to another site. The great thing about this is that if you plan it right, you can take advantage of the smaller bonuses when your bankroll is small and as your 'roll grows, you can opt to take advantage of larger bonuses that some sites may offer. That way you're earning as much free money as possible. Play single table tournaments, sit n go's or small mtts. Sit n go's or smaller mtts are going to offer a big reward with a much smaller risk in comparison to cash games or tournaments with large fields. For example, you can play in a $3 45-man tournament and earn approximately $40 for first place. $3 to win $40 or 15 buy ins is huge. The variance in these smaller sit n go's or mtts are also pretty minor. You might lose 10 buy ins ($30) before you cash again depending on the game you play, but that's nothing when you figure you can easily lose 2 buy ins at 25nl ($25x2) or more. Don't cash out. Or at least keep it to a minimal. When building your bankroll you want to try to keep as much of it online as possible, especially when you are at the lower limits. The reason for this is simple. It's going to be a much longer process if you were to withdrawal and rebuild your 'roll at lower limits in comparison to higher limits. I would suggest waiting until you get to the stakes that can earn you enough to quickly replenish the amount of money you want to withdrawal each week or month. For example, if you want to withdrawal $500 a month, I would wait until you were at least playing the $6 to $10 sit n go's or 50nl cash games. At these stakes, it would be easy to replenish $500 a month for a decent part-time player. Have someone build the bankroll for you. This tip probably seems a bit weird, but there is no reason why you shouldn't try it if you are looking to build a bankroll quickly. Just approach it similar to a staking deal. Find a buddy of yours that plays higher stakes, ship him or her your roll and in return give them a percentage of your profits. Please realize though, that this presents a higher risk since your 'roll could be lost due to variance. Also, you don't gain any playing experience or learn anything this way. Don't move up in stakes so quickly. Many players stick by the rules of 20 buy ins or more to move up in cash games and 20 to 50 buy ins to move up in tournaments or sit n go's. This is ok, but often times this is just enough money that if you were to run bad, you'd have to move back down in stakes. However, if you wait until you have, say, 50 buy ins or more for cash games and at least 100 buy ins for sit n go's, your bankroll will be larger and can sustain more risk. Doing this not only helps you to build a bankroll, but helps you build it faster since you won't have to move down as well as helps you to sustain it. Stick to solid bankroll management. As a rule of thumb, you should never play in a cash game that you don't have at least 20 buy ins for or 50 buy ins for a sit n go. This is the bare minimum. If you are trying to build a bankroll quickly, I would definitely have more than the minimum as suggested in tip #6. Take a staking deal. Staking deals are great for building bankrolls because you don't play on your own roll, yet you get to keep a percentage (often times 45 to 80%) of the profits. This eliminates almost all risks associated with building a bankroll. For example, you could take a 6-month 50/50 staking deal and just take all of your profits and save them for that 6-months. Since you won't have to play on that roll (unless you choose to in your spare time), you could easily save up and build a substantial bankroll. If you made $1k per month playing, you would be able to put aside $500 per month and have a $3k bankroll once your staking agreement was done. Quite simply, the best way to build a bankroll is to minimize your risk while trying to maximize your return. And while taking little risk is generally not as exciting or appealing to some, it's going to be the best approach to building and sustaining your roll. Our tips above should help you accomplish just that.